The Lee Hatfield Team at Keller Williams Flagship of Maryland & The Newman Group at Keller Williams Flagship of Maryland Combine Forces to Better Serve the Metropolitan Area (Baltimore/Washington/Annapolis)! Millersville, MD (5/31/18) — The Lee Hatfield Team at Keller Williams Flagship of Maryland officially announced today a merger with The Newman Group at Keller Williams Flagship of Maryland.The new mega team will operate under The Newman Group brand and continue to operate out of the Keller Williams Flagship of Maryland Market Center in Millersville, MD . The integration of 20+ agents into the team will be effective immediately. The new mega team is projected to close well over 200 units in 2018 with a projected volume of $50,000,000. The merger is being led by Lee Hatfield, CEO of The Lee Hatfield Team at Keller Williams Flagship of Maryland and John Newman, CEO of The Newman Group at Keller Williams Flagship of Maryland. The new mega team will continue to be led by John Newman, CEO, along with Lee Hatfield as Director of Sales, Brianna Diaz as Director of Business Integration, Greta Kroneberger as Director of Operations. “The economic benefits of the merger will gives the mega team a huge strategic advantage in the market place,” said Greta Kroneberger, Director of Operations. “We’re excited about implementing leverage in real estate to connect with, improve and become a partner in the communities that we operate in." The Newman Group (TNG) is a nationally ranked real estate team that is focused on remaining relationship, service and learning based while leveraging today’s technologies and social platforms to grow our reach and influence. Cultureis our foundation and is at the very heart of every decision that we make as an organization. We believe in making every person that comes through our organization better as a result of being here, that our clients should be treated as a part of our family, and that contribution to our communities is an ethical part of capitalism. 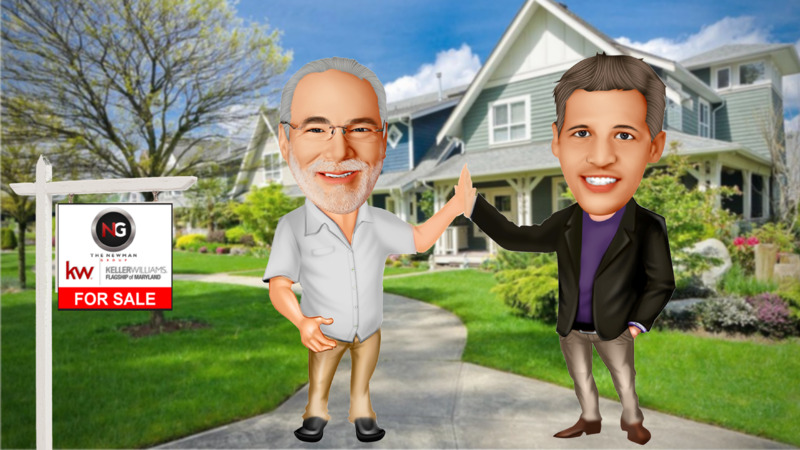 As the real estate industry evolves we believe that people will continue the trend of looking to do business with others they know, they like and they trust. We are creating a real estate business that has focus on the short term but more importantly is making the necessary investments in systems and people that will help our company thrive in an increasingly competitive work environment. For more information, visit ThinkNewman.com. Austin, Texas-based Keller Williams, the world's largest real estate franchise by agent count, has more than 950 offices and 181,000 associates. The franchise is No. 1 in units and sales volume in the United States. In 2018, Training magazine inducted Keller Williams into its Hall of Fame of top training organizations across all industries in the world. Since 1983, Keller Williams has grown exponentially and continues to cultivate an agent-centric, education-based, technology-driven culture that rewards agents as stakeholders. The company also provides specialized agents in luxury homes, commercial, and land properties. For more information, visitkw.com and kwworldwide.com.